Originally republished from The Conversation more than three years ago, this article covers the controversial topic of controlled crying from the perspective of parental sleep and post natal depression. As researcher DR ANNA PRICE from Murdoch Children’s Research Institute (MCRI) writes, women ‘who said their baby’s sleep was a problem were twice as likely to experience postnatal depression’. 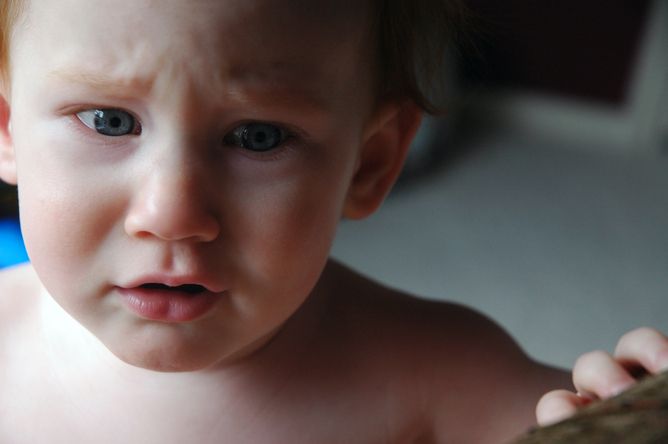 This post was part one of a two-part ECA blog series on controlled crying. You can see Pam Linke’s response here, which covers controlled crying from the perspective of the young child’s attachment and wellbeing. Since then ECA has partnered with MCRI (supported by the Ian Potter Foundation), to create new sleep resources for early childhood educators to be released on the ECA Learning Hub in September. Every evening, parents across Australia hope their babies will sleep through the night. Many won’t. That’s where controlled comforting, or controlled crying might help. Contrary to some claims, this is a safe and effective method for settling babies. Sleepless nights are not uncommon. A 2001 study of 700 Victorian mums of seven-month-old babies found sleep was a problem for nearly half. This can cause serious problems for some parents: women who said their baby’s sleep was a problem were twice as likely to experience symptoms of postnatal depression. Sleep happens in cycles. We start out awake, then fall into light sleep and then deep sleep, before moving into wakefulness and so on. For adults, one of these cycles lasts around 90 minutes. For babies and children, it’s around half this time. This means babies and children naturally stir and wake a lot more than their parents. Letting your child cry for short periods will not harm their long-term mental health or development writes Dr Anna Price. We have to learn the skill of falling asleep on our own. If a baby develops a habit of needing a parent to be with them to fall asleep (such as being rocked to sleep), that’s often when parents say that their baby’s sleep is a problem. From around three months of age, one of the most helpful things parents can do is to start a positive bedtime routine that can help their baby settle. Once babies are about six months old, if they have trouble falling asleep by themselves, they can be taught this skill so they don’t cry out for mum or dad when they wake up naturally. One of the fastest and most effective ways to do this is called ‘controlled comforting‘ which is also known as ‘controlled crying’. In controlled comforting, parents put their baby to bed tired but awake, and leave them to settle for short, increasing periods of time, even if they cry. Parents choose which time intervals are best for their family. Examples are: two minutes, then four minutes, then six minutes, then eight minutes; or two, five, ten minutes; or two, five, five, five minutes. A more gradual method called ‘camping out‘ might be the way to go for some families. This is where a parent lies on a camp bed or sits in a chair next to their baby’s cot to settle the baby when he or she cries. Over a couple of weeks, the parent gradually moves the chair or bed away from the cot and out the door, until the baby is falling asleep without the parent in the room. In 2004, Melbourne researcher Harriet Hiscock tested these two methods with more than 300 mums and babies in the largest and longest study to evaluate infant sleep strategies. Half the families were offered positive bedtime routines, ‘controlled comforting’ and ‘camping out’, with parents free to choose the strategies they wanted to try. The other half weren’t. This study design – a randomised controlled trial – provides the ‘gold standard’ or highest level of evidence about whether a program works. Just by offering these extra sleep strategies to families, children’s sleep improved and mothers’ depression symptoms reduced. The effects lasted to when babies turned two years old, 16 months after the program was offered. The techniques offered are not the same as ‘crying-it-out’, which is also known as ‘pure extinction’. In crying-it-out, the baby is put to bed and left for the whole night before being checked on in the morning. While this technique has also been shown to improve babies’ sleep, it can be distressing for parents and babies. ‘Controlled crying’ and ‘camping out’ can still be hard for parents, as they listen to their baby cry for short periods and try not to respond. Rest assured, these methods not only work, they are safe for babies’ long-term mental health and development. To test whether there are any long-lasting effects for the mums or the kids, I led the Kids Sleep Study in 2009. We got back in touch with the families who were part of the first study in 2004. By 2009, the kids were six years old and had started school. We visited mums and kids at home to collect information about their health and well-being. We asked mums about their child’s behaviour, how the kids were going at school and about their own relationship with their child. We interviewed the kids about their own health and well-being and collected saliva to measure their stress (cortisol) levels. We found that there were absolutely no differences between the families who were offered the sleep strategies and those that weren’t. This told us that for babies older than six months, these sleep strategies work and are safe to use. Parents and health professionals looking for a way to manage sleep when babies are older than six months can feel confident using ‘controlled comforting’ and ‘camping out’. For more information about children’s sleep and how to manage it, visit Raising Children Network. This government-funded non-profit site gives all the current evidence on children’s development and sleep by age group. See also ECA Learning Hub webinar Settling multiple children in ECEC settings. 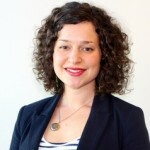 Anna Price (BA(Hons), PhD) is a postdoctoral researcher at the Centre for Community Child Health, Murdoch Childrens Research Institute, Melbourne. She is passionate about research to reduce inequity in children’s learning, development and health; research to better understand sleep during infancy and childhood; and better understanding how to communicate science through the media. Anna currently manages the research evaluation for the “right@home” national, sustained, nurse home visiting trial, and secondary analysis of childhood sleep data collected in the Longitudinal Study of Australian Children. You are, in fact, incorrect. A multitude of scientific studies will show you just how wrpng you are. Controlled crying, or ‘Cry It Out’ method is proven to be harmful to children. I’d say it’d probably be harmful for adults too. When you let a child cry with comfort, you are teaching them that their needs don’t matter, and that you don’t care. Is an extra couple of hours sleep really worth your childs sanity? My previous comment had several typos (because that’s how angry cry it out makes me). The second paragraph should be *without comfort. Perhaps I’ve read this wrong, but if the study found no difference between the two groups at long term follow up, how did you conclude that the intervention works? Rather, wouldn’t this show that there is no long term benefit to the intervention, as well as no long term harm? Also, I wouldn’t consider this the gold standard of evidence. Although it’s high level, a double blind RCT would be the gold standard of research, and either a meta analysis or systematic review a higher grade of evidence. This article is very disappointing with it’s inaccuracies and lack of research into the effects of cortisol on the developing brain. A few extra hours sleep for a short period of time now is not worth the lifelong effect that cortisol will have on my child’s developing brain. Very disappointing. I think it can be worth it for some people, though – Mum’s mental health matters too, and if it helps her get through chronic sleep deprivation, it could be OK to use the methods described. Mothers don’t need to be matyrs, but it’s a balancing act to work out what’s the best compromise for everyone. For me, we just have up on any kind of training and help offered and accepted that our daughter was going to sleep in our bed at 7 months. We all get a good nights sleep. Wait, I’m doing what you’re advocating and I’m still being judged? You think know my baby better than me? You haven’t even met her. This is why it’s difficult to have rational conversation about this topic. And why so many mothers feel guilty. Let’s be open to discussing evidence rather than basing decisions on emotion. I’m very disappointed to see the MCRI promoting such terrible parenting techniques. Mothers often report feeling stressed and upset while doing CIO, and it’s hardly surprising as it goes completely against human instinct to leave our young to cry – and if the parent is stressed, we can only imagine what the child is going through! Actually, we know what the child is going through – studies have shown that even after babies stop crying their stress levels remain high. The mental health of parents is very important – but how about we help them with additional support and resources, rather than throwing the baby under the bus? stop promoting lazy parenting!!! We are made to bed share, we are made to carry our babies and we are made to breastfeed! All these articles are promoting parents to neglect their babies is horrible! There is no such thing as loving your child to much babies cry for reasons! Pick up your babies! cuddle them! kiss them! They grow to fast! This article is awful. Let us just hope that new parents don’t follow these advice, as they could be risking the mental health of their children. Crying is NOT healthy, especially not when you are too small to change your own situation, as well as terrified of being left alone. i want to know the depth of research done on the 6 year olds. Did they do an interview with the participants, or did they actually test response to stressors and the child’s ability to cope with those stressors? Also, I would argue that checking in at 6 years of age is not conclusive. How many of these children will go on to develop stress related issues as teenagers or adults. I can’t accept that controlled crying is as safe as it is described in this article. Parents have the right to choose what to do for their children and what sleep methods to implement. However they also have the right to full and accurate information. Mothers of 7 month olds who say their child has sleep problems because they don’t sleep through the night have been misled into believing that 7 month olds should sleep through the night. If mothers were given facts about child development and realistic timeframes in which to expect certain sleep patterns from children, they wouldn’t feel like failures when their little baby fails to meet unrealistic goals. Studies and research, theories and emotions. Observe and learn from nature. Mummy bird nurtures and norishes and when she thinks the time is right she pushes baby bird out of the nest. Did baby bird want to fly that day? Teaching with support, love and guidance is a parents job and it starts immediately after birth. Teaching a child to sleep independently is no different from teaching them to use a spoon or use a toilet. I am amazed previous comments include terms like lazy parenting, terrible parenting techniques, irresponsible, awful, neglect. Those that do not wish to be judged by others may want to rethink using judgmental words. My mum raised eleven children without the modern conveniences of today. Can’t wait for her to read these opinions. Controlled crying used correctly is a parent supporting their child’s ongoing development and independence – Nothing more, nothing less. I like what you have stated. I am a mum of three and suffered PNP and long term depression/OCD. Mums mental health is important, because without mental well being she can’t look after her family properly. I know this from experience. Nobody enjoys hearing little one cry, it goes against every fibre. However, lack of sleep can become a very dangerous and debilitating problem with regards to mental health. You can end up going down hill rapidly. In an ideal world, we could attend to our baby without a thought for ourselves, which generally is what mums do, but what if no one’s there to support mum? It’s just down to her and she has to make that decision to take a break for herself and babies benefit. And that can mean walking away, it’s never ,ever black and white.